Any garden can look great in spring or summer, but it takes real preparation and research to have a garden that looks great in fall and winter. It also takes discipline: garden centers are always stocked with shrubs that look fabulous at that moment, making those that don’t come into their own much later in the season easily passed by. However, it pays off to always add a few shrubs to your landscape that will look wonderful when the rest of the garden is fading. 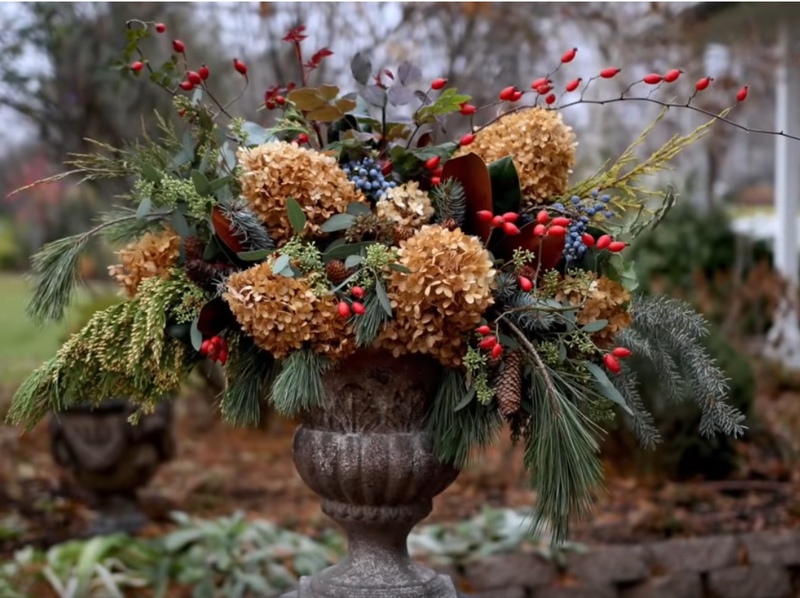 And, it pays off dividends to pick plants that make great cut branches in fall and winter, giving you the chance to create your own unique arrangements and décor during the holidays and beyond. Here are ten shrubs – five for fall, five for winter – that look great in the garden, in the vase, and more. While they may not be at their most exciting in spring, when the temperature drops and things start to get gloomy, you’ll be mighty glad you added them to your planting list. Fill your home with fragrance in autumn! No, not pumpkin spice…the sweet, light perfume of Ruby Anniversary abelia. 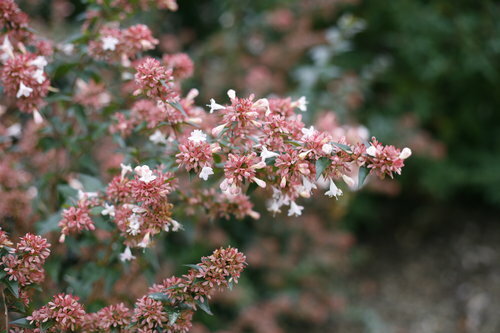 This hardy (USDA zone 5) abelia makes an outstanding cut flower, thanks not just to that scent but also to its long, elegantly arching branches, glossy foliage, and dusty pink-red bracts that fallen flowers leave behind. It attracts hummingbirds and butterflies in the garden, and you’ll have plenty of branches to enjoy indoors and out. Ruby Anniversary is the perfect choice for difficult spots, as it grows well in shade and resists damage from deer and rabbits. Yes, those berries are real! It’s hard to believe they are, the first time you see a beautyberry, but this rugged, sun-loving plant is positively laden with orchid-colored berries from late summer through autumn. 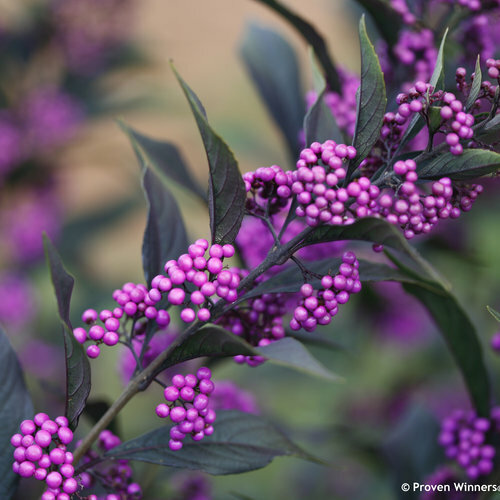 What makes Pearl Glam beautyberry extra special, though, is its deep purple foliage and contrasting white blooms. Thanks to those dramatically colorful leaves, it makes a great cut stem all season-long, with the autumn berries taking it to the next level. Another thing you’ll love is its space-saving habit: instead of growing big and wide like conventional varieties, it grows narrow and upright. Panicle hydrangeas have been a fall favorite ever since ‘Limelight’ hit the scene with its big pink/red/burgundy blooms. However, ‘Limelight’ has huge flowers and thick stems, limiting its use as a cut flower to larger-scale arrangements and crafts. Enter Little Lime: at just half the size of ‘Limelight,’ with appealing, proportional blooms, it’s much better suited to arranging in a vase or urn. 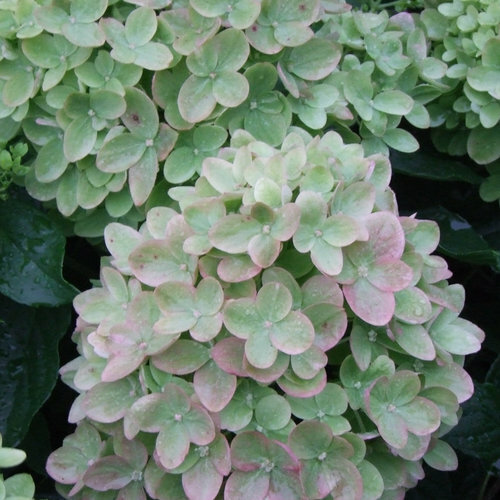 This super-hardy hydrangea works well as both a fresh and a dried flower, and because it produces dozens and dozens of blooms every year, you’ll have no shortage of material. 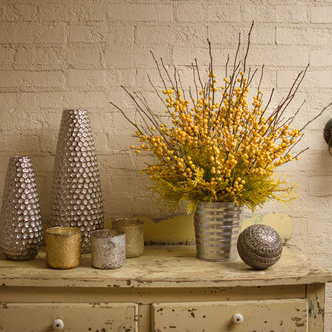 In fact, you may have a shortage of vases! This is one that definitely doesn’t grab your attention in the garden center in spring: its round, blueish leaves are pretty enough, but it doesn’t look very flashy. Come autumn, however, watch out! It explodes into pink bell-shaped flowers and bright pink bubble-like berries. You’ll be surprised that it is so dead-simple to grow: it tolerates part shade, is deer resistant, takes dry conditions, is very cold tolerant, and very reliable. A nice choice for a low-maintenance hedge. 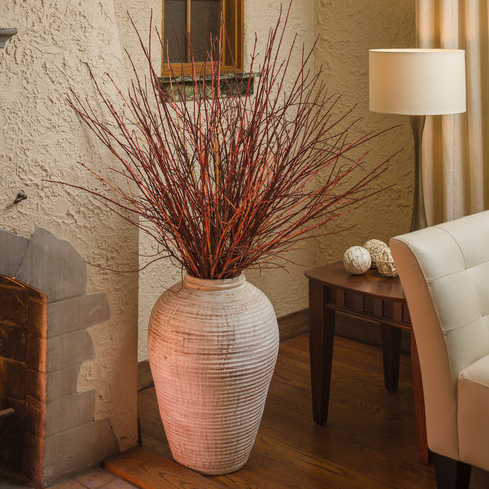 Cut stems last a long time in the vase and bring unique color to autumn arrangements. 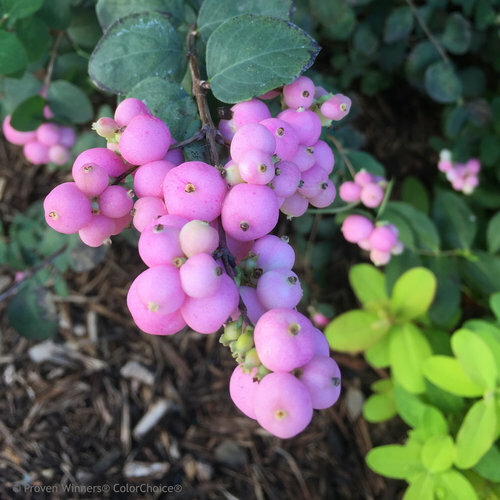 Viburnums are always a popular choice for fall interest, and we recommend this pair for an abundant supply of deep blue berries in autumn. These two pollinate one another, so you get lots of berries on both plants, which add sophisticated color and interest to arrangements. They earned their name for their extremely glossy foliage (so they’re useful in summer arrangements as well) which brings a quiet, but definitely noticeable, beauty to the landscape. These two make a nice choice for a privacy hedge and grow well even in shaded conditions. Staff favorite! We love all winterberry hollies, but Berry Heavy Gold is a truly special plant. This native winterberry holly bears hundreds of golden berries in fall and winter. It’s a unique color alternative to the more ubiquitous bright red, though they definitely look great together. Plant several so you’ll always have an abundant supply of branches for holiday décor – and don’t forget to pair with a male, like Mr. Poppins or Little Goblin Guy, to ensure you get plenty of berries on Berry Heavy Gold, which is a female selection. Sound confusing? 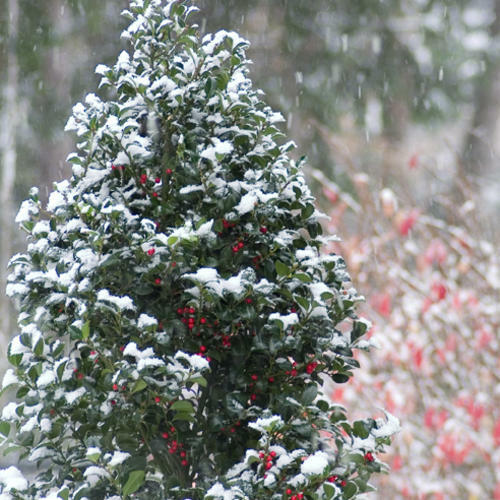 Get a full explanation in our Ultimate Guide to Winterberry Holly. Deck your halls with as many boughs of holly as you want with Castle Spire and Castle Wall hollies. 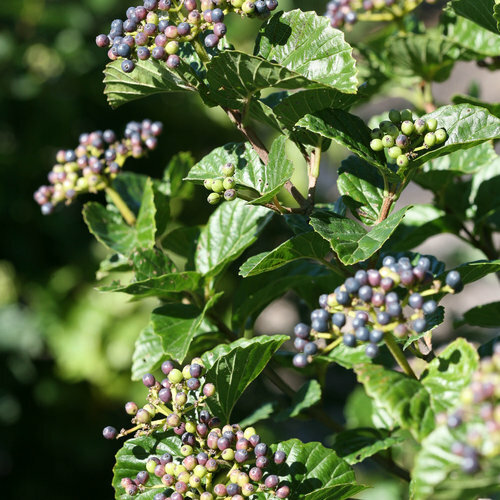 These blue hollies bear the glossy, evergreen, deeply toothed holly leaves that are most associated with the holidays, and the female, Castle Spire, will be laden with cheerful red berries, too. These dense plants have a strong shape and presence in the landscape, but will give you plenty of branches for arranging, wreath-making, and other decorating. Note: the newest member of the series, Castle Keep™, is also beautiful for arrangements, but its dwarf habit yields fewer and shorter branches. Boxwood is notoriously slow-growing, but Sprinter comes by its name earnestly: it grows nearly twice as fast as conventional boxwood! That means you can judiciously cut from it for arrangements and crafts and still have a nice looking plant in your landscape. 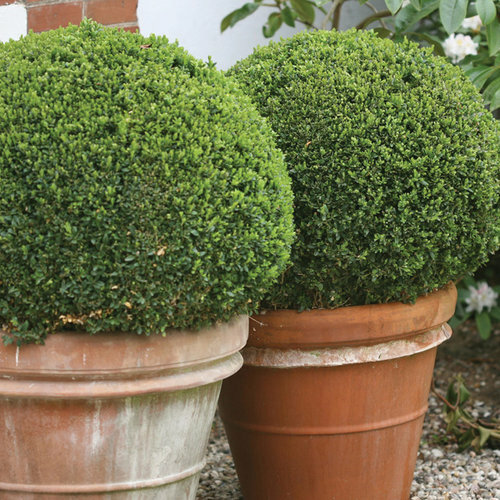 Also, Sprinter boxwood doesn’t have the characteristic boxwood odor, so you won’t mind having it indoors. 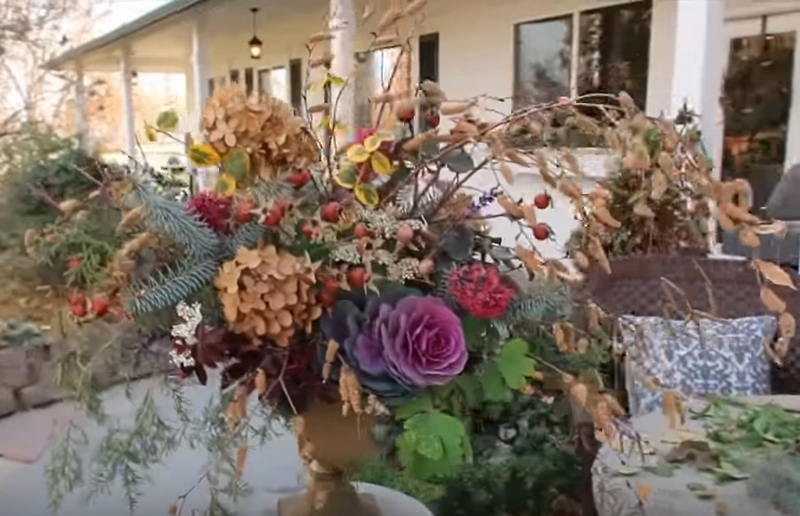 The nice thing about decorating with boxwood is you don’t need a lot to have a big impact – a few sprigs would work perfectly in this kissing ball that Laura from Garden Answer made. Red or yellow – take your pick! Either of these easy-to-grow dogwood will accentuate your landscape and give you lots of beautiful, versatile branches to use in indoor or outdoor decorating. Plus, when you cut the stems off of these dogwoods to use in arrangements, you’re actually doing the plant a favor: they develop the best color on newer growth, so by removing the old stuff, you ensure a vivid display for the next year! These dogwoods are very adaptable in the garden, and thrive in sun or shade, dry or wet soil, plus, deer and rabbits don’t bother them. If you feel nervous about cutting branches from the shrubs in your landscape, these durable dogwoods are a great place to build your confidence. Got space? 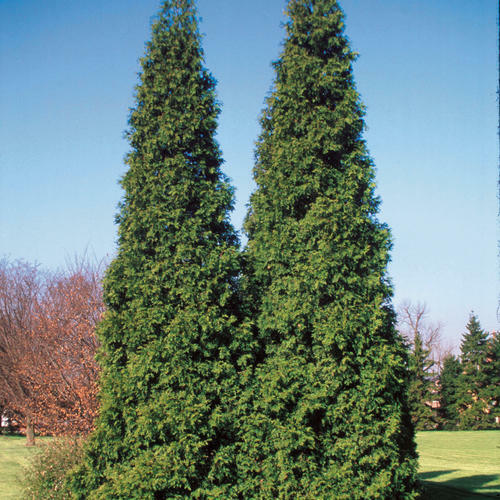 Then grow plenty of beautiful, glossy, fragrant arborvitae branches! While any of our arborvitae are beautifully suited to arranging in winter, we especially like Spring Grove because it’s big, fast growing, and, as a Western arborvitae, its foliage has a unique “braided” appearance that makes it look like undersea coral. 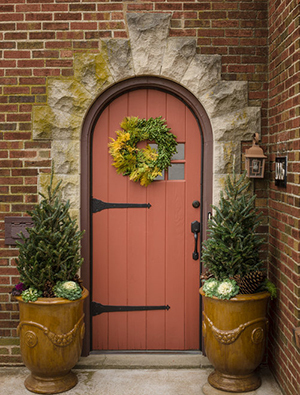 Spring Grove arborvitae provides excellent coverage in the garden for hedges or well-placed specimens and its abundant, deep green branches will give you plenty of material to work with for wreaths, arrangements, and more. This video will give you an even better view of these great plants. 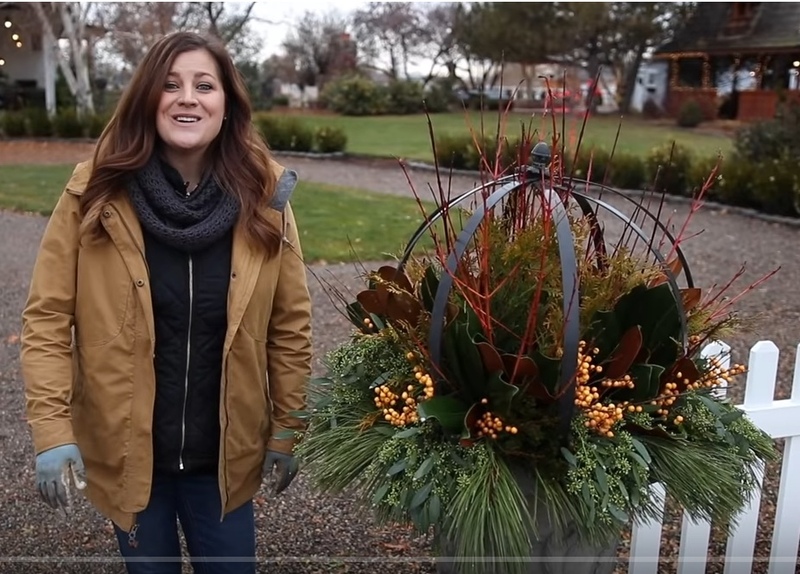 See Laura from Garden Answer put together fall and winter arrangements using the plants mentioned above.